Summary: I want to send a fax message, but I want to change some information on my outgoing fax. Where do I go to edit the information on my fax message? How do I change the cover page of my fax message? Outbound Fax Settings is where you can change the information for your outbound fax. 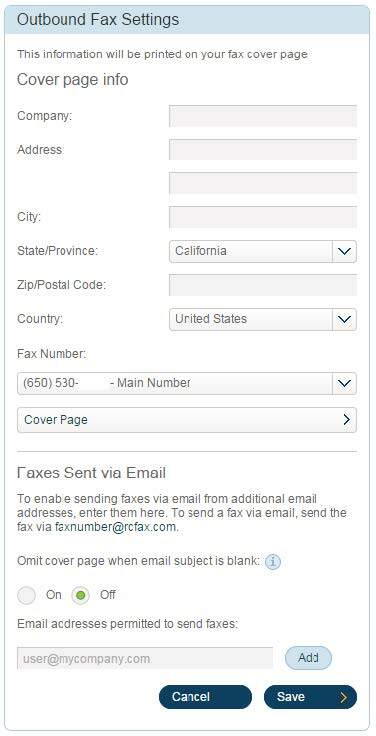 Here, you can edit the cover page information, set up the outbound fax number and email addresses permitted to send faxes. This section allows you to edit your cover page information. A cover page should contain information about the sender of the fax, and this includes your company information as well. You can also select the outbound fax number which is synced with the fax number on the Outbound Caller ID panel. There are various styles of fax cover pages. You can customize your cover page to suit your desired format by clicking on Cover Page. 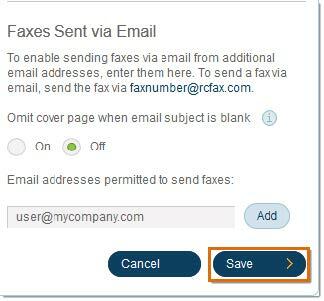 This section also allows you to add emails that are permitted to send faxes. Type the email address you wish to add, then click Add. Clicking Save retains the changes you have made in this section. 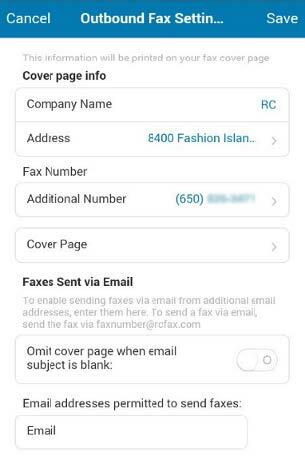 Outbound Fax Settings can also be configured using the Office@Hand Mobile App. The same options as the online account are available in this section. To access the Outbound Fax Settings screen, tap My Profile > Extension Settings > Outbound Fax Settings.